Our vital water resources are under heavy pressure as the world’s population continues to expand rapidly. Coupled with challenges associated with climate change, the water management discussion has never been more relevant. Dr Laurent Ahiablame, from the University of California Division of Agriculture and Natural Resources, works with farmers, communities and policy makers to find low-impact methods for urbanisation and farming that improve water management while protecting human health and the environment. Throughout history, urban development, agriculture and hydrology – the study of the Earth’s water – have been at odds. Urbanisation often focusses on moving water rapidly out of urban areas, wreaking havoc on local and even regional hydrological systems. Human-made surfaces and artificial drainage systems effectively convert large amounts of rainfall into surface runoff. 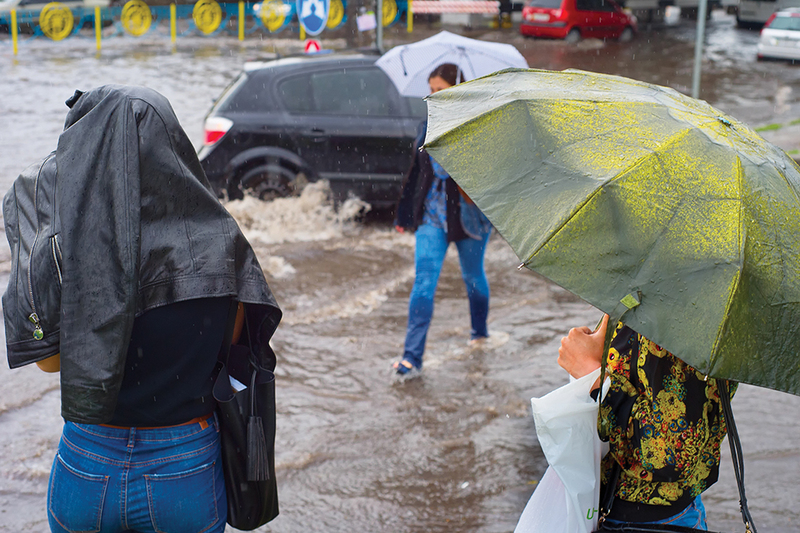 While this may be useful for the city centre, it has considerable consequences for the areas receiving this influx, resulting in flash-flooding events. 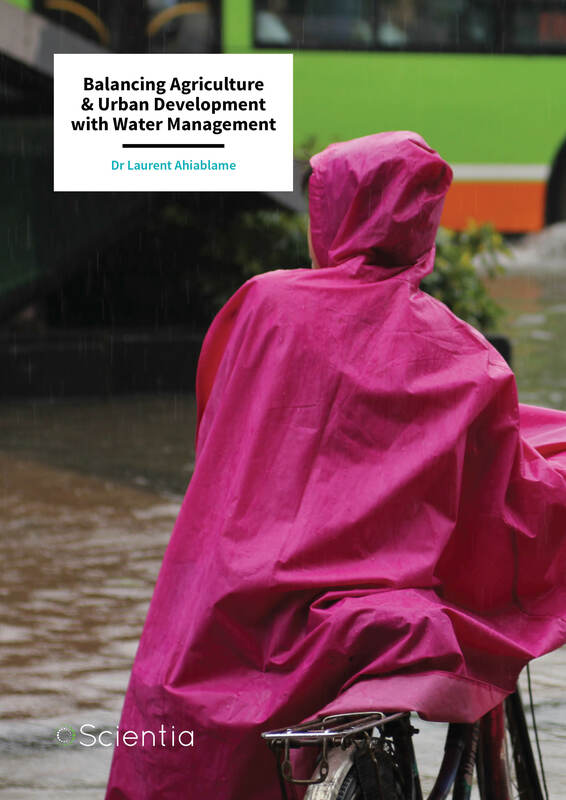 Dr Laurent Ahiablame and his colleagues work at the interface between urban and rural water management and are extensively involved in ‘low-impact development’, or LID. The aim of LID is to more sensitively manage the water planning of an urban area by mimicking the natural hydrological processes of infiltration, evaporation and storm water storage. LID technologies include permeable pavement, vegetated swale and other water management techniques at the source. By applying water management models to different types of watersheds, Dr Ahiablame’s team can assess the potential role of LID practices in reducing flooding in light of predicted climate and land-use changes. In central Illinois, for example, the team estimates that urban land use over the study period of 1992–2030 will increase from 50% to 94%, with a coincident increase of 30% in average annual runoff and flooding events. In this case study, the researchers found that the implementation of three LID practices – porous pavements, rain barrels and water gardens – resulted in a 47% reduction in runoff within the watershed and a reduction of up to 40% in flooding events. In scenarios within two Indianapolis watersheds where porous pavements and rooftops connected to rain barrels were implemented at a rate greater than 25%, storm-water runoff and increased baseflow (shallow subsurface flow) decreased significantly, which further resulted in slight decreases in pollutant loads (as an added benefit). These studies highlight how modelling can be used to inform the management and decision-making policies of land developers looking to install LID practices within a watershed. 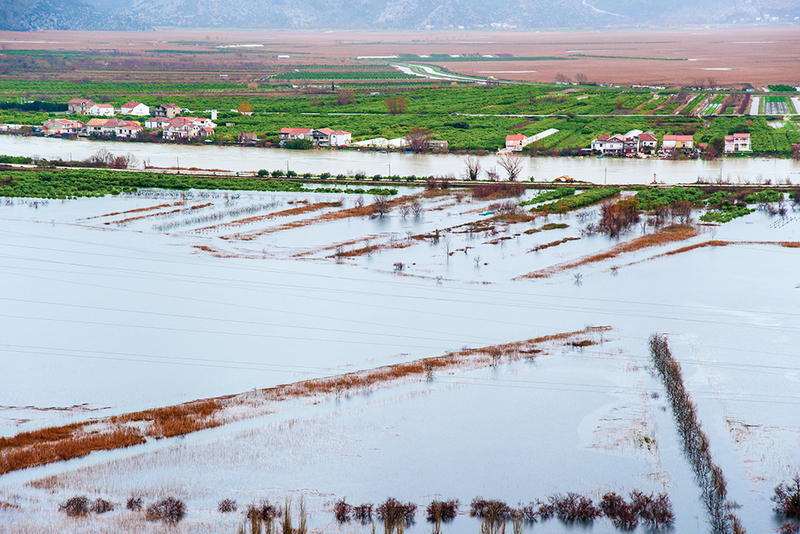 Agricultural practices such as irrigation and artificial drainage may increase direct connectivity between fields and streams, potentially reducing longer subsurface pathways. 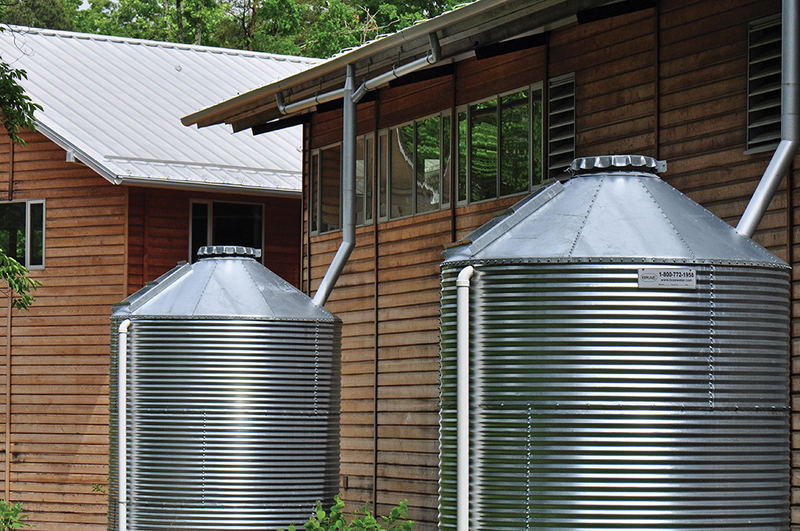 In both urban and rural areas, a great need exists for water-sensitive designs and sustainable drainage systems that conform to the watershed’s natural condition. Watershed models can also be used to study how future climate and land-use changes might affect a given watershed, since climate and land-use changes usually produce changes in a watershed hydrology. Climate observations over the last century indicate that some areas are likely to see an intensification of the hydrological cycle, with more frequent extreme temperature and precipitation events – ultimately impacting local and regional water resources. Dr Ahiablame led a study investigating land-use and climate-change effects on the hydrology of the agricultural watershed of the James River in the Upper Midwest US. Using a number of general circulation climate models with coupled ocean and atmosphere components, his team generated several climate-change scenarios for 20-year periods in the mid- and late-21st century, and a land-use forecasting model with corresponding predicted-land-use maps. Using the Soil and Water Assessment Tool (SWAT) model, they next quantified the impacts of these two factors on the watershed’s hydrological processes. In order to assess the dominant drivers, the scenarios were designed using a fixed climate with shifting land use, then a shifting climate with fixed land use, and finally, a changing climate and changing land use. Dr Ahiablame is also heavily involved in establishing statistical and GIS techniques to study how and why hydrological systems change over time. Such studies increase our knowledge of how such changes might impact water resources. In one such study, Dr Ahiablame and his colleagues analysed the long-term baseflow records of the Missouri River Basin from 1950 to 2014. Their results highlighted that baseflow was the dominant contributor to streamflow in the basins (at 60%), but also revealed an upward trend in baseflow and precipitation during the study period. The team concluded that changes in precipitation exerted a stronger influence on baseflow than changes in agricultural land use – an important consideration for future management and decision making. Further afield, in the Limpopo River Basin (LRB) in Southern Africa, Dr Ahiablame and collaborator Dr Esther Mosase studied the spatial and temporal trends in the rainfall and temperature data from 1979 to 2013. The LRB covers vast swathes of Botswana, Zimbabwe, Mozambique and South Africa, where millions depend on its waters. However, the basin experiences extreme seasonality and is affected by strong El Niño-Southern Oscillation events. As a result, precipitation across the basin is highly variable, both spatially and temporally. The researchers concluded that while the increasing trend in rainfall suggests increasing water availability, increases in the population and changes in land use and agricultural intensity continue to put pressure on the system and its water resources. The team highlighted the need for increased awareness within the planning community to develop greater resiliency against water risks in the basin. Artificial subsurface drainage in agricultural water-abundant regions plays an important part in regulating soil moisture and maximising crop growth. However, such drainage also leads to nutrient losses and changes in surface land cover and groundwater. Lost nutrients are carried in drainage waters and collected downstream in nearby lake and river systems. These excess nutrients, in particular phosphorous and nitrogen, are key drivers behind eutrophication – a process wherein water quality is rapidly deteriorated by excess nutrients that foster uncontrolled growth of plants and algae that consume the water’s oxygen. As Dr Ahiablame himself says: ‘We all live in a watershed, and what we do in our own yard will eventually affect everyone around us and downstream.’ Along with colleagues and students, Dr Ahiablame is currently exploring best management practices (BMPs) for reducing both nitrogen and phosphorus in agricultural drainage waters to protect downstream water resources. Improving fertiliser management and application is an important piece of the puzzle; however, it is often insufficient to actually solve the problem. Therefore, much of the team’s work involves designing and assessing new methods to remove excess nitrogen and phosphorus from surface and subsurface drainage waters at the earliest possible stage. Dr Ahiablame and one of his students explored the use of denitrifying woodchip bioreactors and phosphorus-adsorbing structures in their study region. They created these denitrifying bioreactors in trenches filled with carbon-rich material (wood chips) into which subsurface drainage water could flow. Physical and biological reactions then converted the nitrogen compounds within the waters into nitrogen gas, which was released to the atmosphere. The team’s phosphorous-adsorbing structure is composed of filters that contain materials rich in phosphorus-loving elements such as aluminium and iron, which were placed near drainage outlets. These elements react and bind with phosphorus to create insoluble compounds, effectively removing it from the water. Results from this study in eastern South Dakota showed a 7–100% reduction in nitrogen compounds and a 10–90% reduction in dissolved phosphorus. While the effectiveness varied, the results are nonetheless encouraging and provide valuable insight into understanding the most effective ways of managing nutrient removal at the input site, particularly when considering costs. Prior to field implementation, Dr Ahiablame and his colleagues routinely conduct laboratory experiments to inform their field studies. For example, prior to the field study mentioned above, his team extensively assessed phosphorus removal methods in the lab by comparing the effectiveness of different reactive permeable filters, including natural minerals such as limestone and a number of recycled industrial by-products of steel. They concluded that the relatively inexpensive steel by-products acted as effective adsorption materials for dissolved phosphorus removal and could be combined with woodchips to simultaneously remove nitrogen. In recent decades, the role of climate change has also been a major focus in watershed management. Dr Ahiablame and his colleagues used future land-use change models in conjunction with SWAT to assess how water quality may change in a given climate and land-use change scenario. In South Dakota, they made an interesting discovery: in some areas, land-use changes may not always be detrimental to water quality. The researchers found that the predicted change in land use in this region shifted towards lower-input agriculture, with hay and pasture production increasing over high-input cultivation, resulting in reduced surface runoff, sediment, nitrate and phosphorous. Their study highlighted how modelling can be used to inform land-management practices in the face of a changing climate and land use. As we’ve seen, Dr Ahiablame and his colleagues strive to improve methods of water management and water quality while protecting human health and the environment. Through low-impact farming and low-impact urbanisation, they continue to develop myriad ways of mitigating our footprint on the environment and ensure water security while also protecting the health and safety of future generations. Dr Laurent Ahiablame completed his BS in Bioenvironmental Engineering at North Carolina Agricultural and Technical State University in 2006. He moved to Indiana to pursue a Master’s degree at Purdue University, where he subsequently took a PhD position and graduated in 2012. For his graduate studies, Dr Ahiablame was awarded the Outstanding PhD Student prize in 2012. In 2013, he moved to Southern Illinois University, Edwardsville, as an Assistant Professor and then to South Dakota State University in 2014 as a Grassland Hydrologist and Assistant Professor. In 2017, Dr Ahiablame moved to his current position at the University of California, where he works as the Director of Agriculture and Natural Resources Division San Diego Office and Water Quality/Management Advisor. 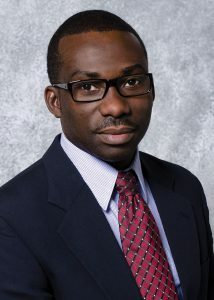 Dr Ahiablame has been an active member of the American Society of Agricultural and Biological Engineers since 2006 and has advised many research students. E Mosase, L Ahiablame, Rainfall and temperature in the Limpopo River Basin, Southern Africa: Means, variations, and trends from 1979 to 2013, Water, 2018, 10, 364. BM Sellner, G Hua, L Ahiablame, TP Trooien, CH Hay, J Kjaersgaard, Evaluation of industrial by-products and natural minerals for phosphate adsorption from subsurface drainage, Environmental Technology, 2017, DOI: 10.1080/09593330.2017.1407364. L Ahiablame, T Sinha, M Paul, J-H Ji, A Rajib, Streamflow response to potential land use ad climate changes in the James River watershed, Upper Midwest United States, Journal of Hydrology: Regional Studies, 2017, 4, 150–166. L Ahiablame, AY Sheshukov, V Rahmani, D Moriasi, Annual baseflow variations as influenced by climate variability and agricultural land use change in the Missouri River Basin, Journal of Hydrology, 2016, 155, 188–202. L Ahiablame, R Shakya, Modeling flood reduction effects of low impact development at a watershed scale, Journal of Environmental Management, 2016, 171, 81–91. LM Ahiablame, BA Engel, I Chaubey, Effectiveness of low impact development practices in two urbanized watersheds: Retrofitting with rain barrel/cistern and porous pavement, Journal of Environmental Management, 2013, 119, 151–161.